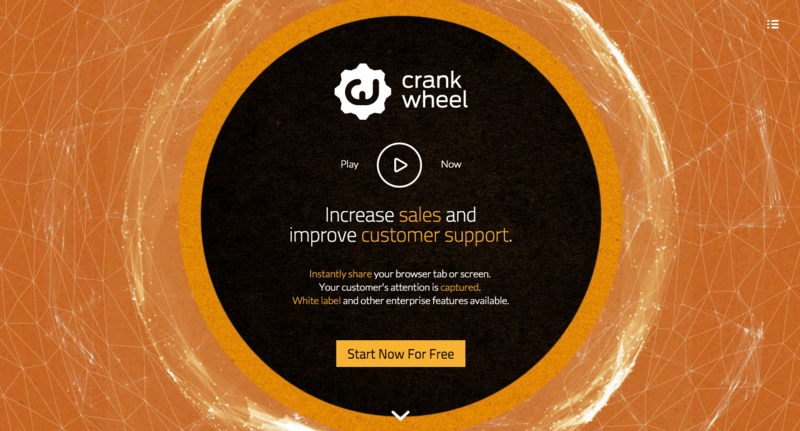 CrankWheel is a specialized screen sharing application with built-in website-embeddable lead capture, for professional software sales teams. It's a sales tool, and we think sales tools should always work, so we went crazy and made it compatible with over 99.9% of browsers on both desktop and mobile, without your viewers ever needing to download any software or plug-in. Using the Instant Demos lead capture, you can go from an interested prospect on your website to a live software demo in a few seconds, instead of a few days.